to stand upright in the depth of that field. The heaviness of gravity upon her. The strength of the mother. 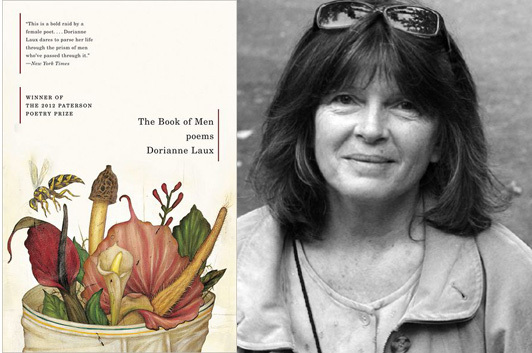 The Book of Men, the fifth collection of Dorianne Laux’s poems, is the winner of the 2012 Paterson Poetry Prize. The book is dedicated to Philip Levine; the poem “Mine Own Phil Levine” originally appeared in Valparaiso Poetry Review. Orion published “Juneau” (as “Juneau Spring”) and “Roots.” Willow Springs published “Staff Sgt. Metz,” along with a short essay about its creation.